Deccan Odyssey Train is a luxurious and royal train in India for tourism purpose. The facilities, arrangements, and maintenance of the train made it as the best luxurious train in India. It covers famous tourist destinations in all over India with its different explorable itineraries. 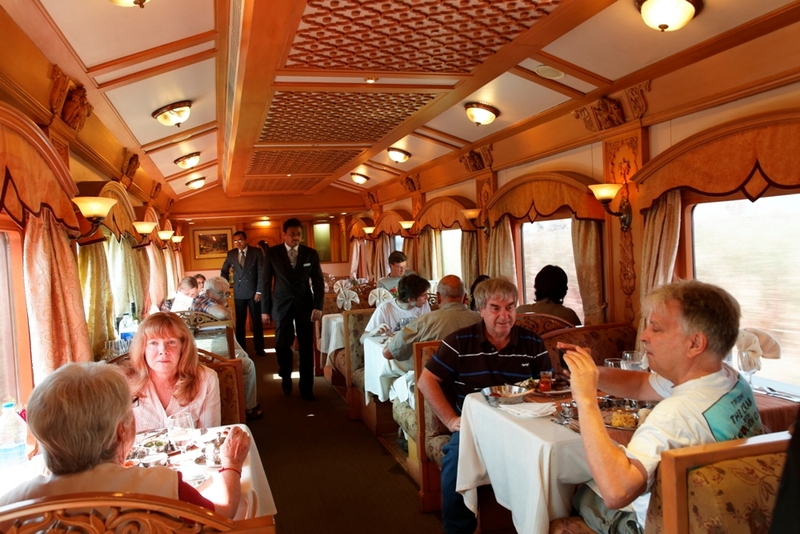 Mostly foreigners are liked to travel on Deccan Odyssey due to its well-maintained cabins, facilities, etc. The government of Maharashtra feel proud of presenting Deccan Odyssey. 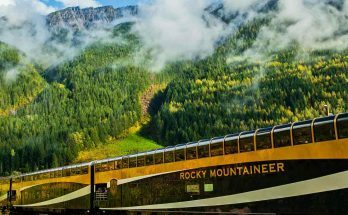 Let’s know why tourists are more attracted to this luxurious train. The Maharashtra government gave green signal to the proposal of Deccan Odyssey in the year 2001. Later it was integrated with Integral Coach Factory (ICF) in the year 2002 and finally, it came to tracks on 16th January 2004. The interior design architect was handled by the famous Taj Group of Hotels. This blue limousine train came to track with 21 coaches which are the witness of the heavenly atmosphere. The interior design and furniture reflect the style of royalty of Indian kings. The history of Deccan Odyssey means not a long back story of years but the recent one with the style of the bygone era. 1. 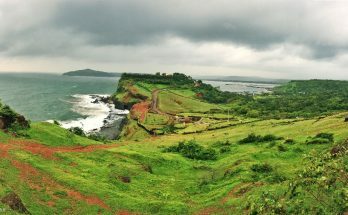 Maharashtra Splendor destinations covered Mumbai – Nashik – Ellora Caves – Ajanta Caves – Kolhapur – Goa – Ratnagiri – Mumbai. 2. Indian Odyssey destinations covered Delhi – Sawai Madhopur – Ranthambore National Park – Agra – Jaipur – Udaipur – Vadodara – Aurangabad – Mumbai. 3. Jewels of the Deccan destinations covered Mumbai – Bijapur – Aihole – Pattadakal – Hampi – Hyderabad – Aurangabad – Ajanta Caves – Mumbai. 4. Maharashtra Wild Trial destinations covered Mumbai – Aurangabad – Pench (Ramtek) – Tadoba – Ajanta – Nashik – Mumbai. 5. Hidden Treasures of Gujarat destinations covered Mumbai – Vadodara – Palitana – Sasan Gir & Somnath – Little Rann of Kutch – Modhera & Patan – Nashik – Mumbai. 6. Indian Sojourn destinations covered Mumbai – Vadodara – Udaipur – Jodhpur – Agra – Sawai Madhopur – Jaipur – Delhi. Let’s known the details of inclusions and exclusions of Tariff. 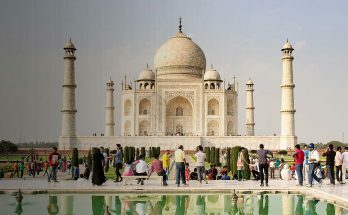 Inclusions in Tariff are dining, transportation(sightseeing in a.c coaches), porter charges, accommodation, entry fees and still camera fees at the monuments are added. Exclusions in Tariff are the expenses on and off the train, liquor, spa, telephone, beverages, and business facilities are not included in Tariff. 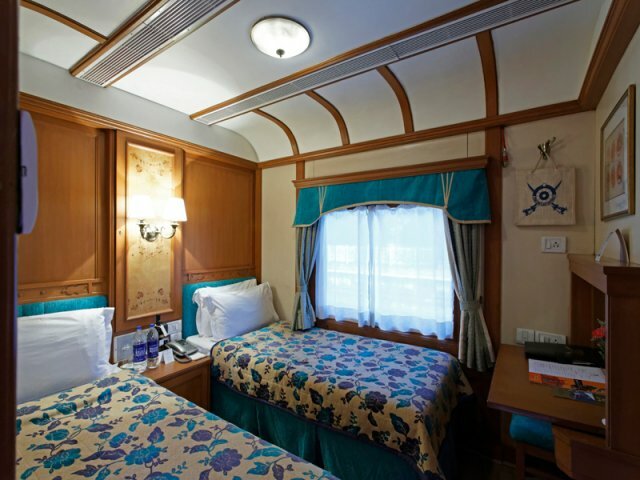 Facilities of Deccan Odyssey Train are so luxurious and royal. Facilities of this luxurious train mostly attract tourists to travel on Deccan Odyssey. Because a train with good facilities made it popular among people to visit again. In this case, Deccan Odyssey takes first place in providing the best facilities to its passengers. The classic cabins, multi-cuisine restaurants, bars and lounge, conference car, and the reliable services are the facilities of Deccan Odyssey. Let’s know in detail about the providing facilities of Deccan Odyssey Train. The cabins of Deccan Odyssey Train is beautifully outfitted with attractive and comfortable furniture. The cabins on the rail are so spacious to roam freely and the architect of cabins made a harmony connection with outside landscapes. The Taj Group of Hotels neatly molded the cabins nearly to the style of the royal era. 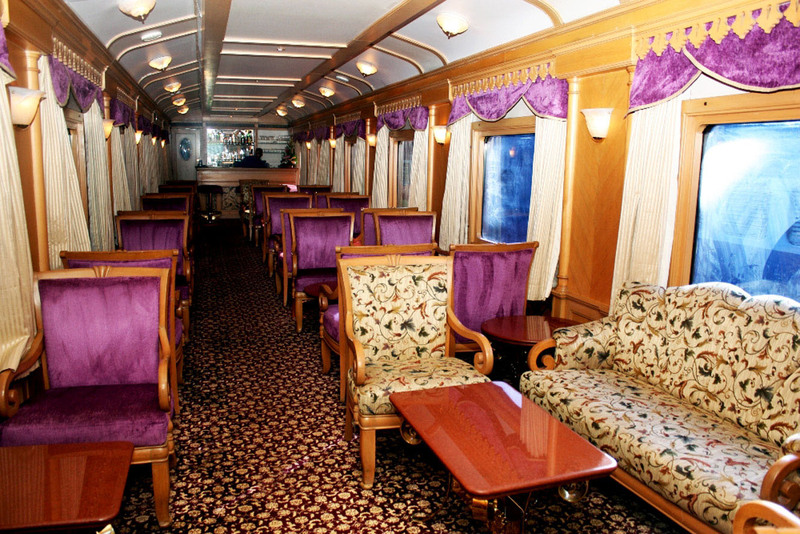 The decoration of each coach reflects the style of Deccan environment. The cabins are neatly maintained with a personal safe, air-conditioning, telephone, and attached bathroom. A personal attendant is available for guests with 24 hours service. These are the facilities available in each and every cabin in Deccan Odyssey. The Deccan Odyssey is famous for its multi-cuisines. The board of Deccan Odyssey moves with two multi-cuisine restaurants namely Peshwa I and Peshwa II with a capacity of 42 members at a time. The stewards on board are completely in Maharashtrian style and well-mannered with guests. The cuisines on board are the styles of Indian, oriental, and continental delicious food. There is complete freedom to the guest to select anyone from the list without hesitation. 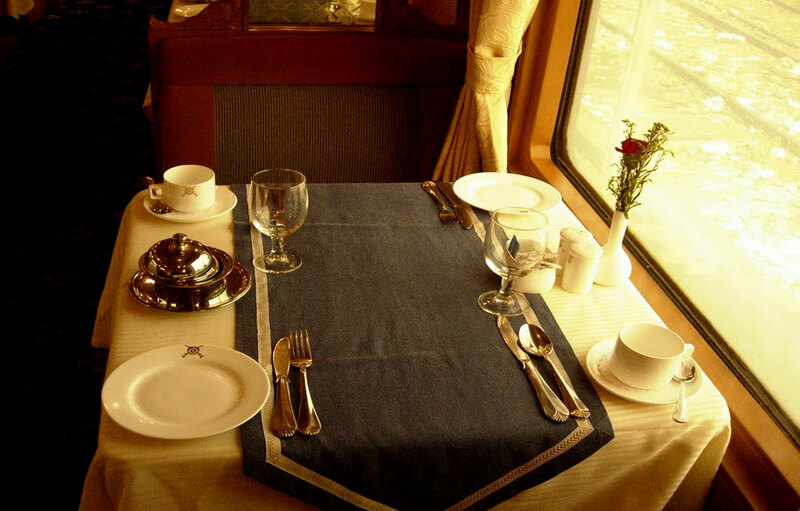 The moment on Deccan Odyssey by enjoying delicious food with beautiful surroundings will be awesome. The Deccan Odyssey is most popular for its well-maintained delicious food. So never miss any dish on board. Just try to complete all delicious food items in the menu during the journey. The bar of Deccan Odyssey is at to serve all varieties of wines and spirits from all over the world. Not only alcoholic beverages but also it serves non-alcoholic beverages for a relaxing drink. The bar on Deccan Odyssey is neatly designed and covered with all varieties of wines and spirits. The Deccan Odyssey Train covers so many forts, palaces, and sightseeing places etc during the journey. So, guests can relax in the bar with a glass of wine to get rid of tiredness and fatigue. 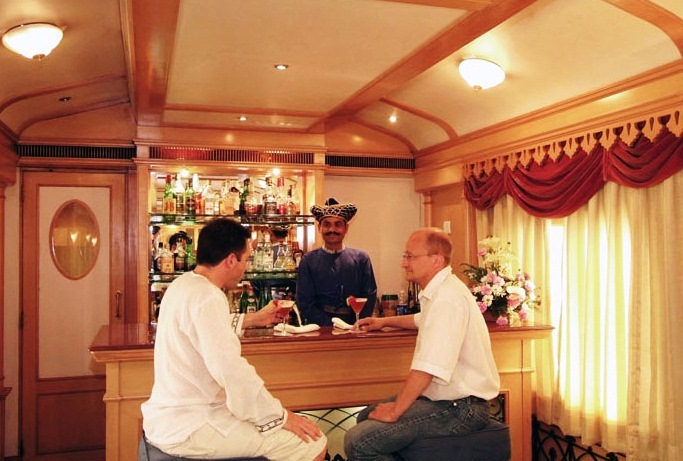 The bar on Deccan Odyssey is the best relaxing spot for wine lovers. Sitting lounge is another relaxing and refreshing spot on the board. Not only permitting to cabins or coaches, guests can enjoy a relaxing time with friends and can make new friends on journey. 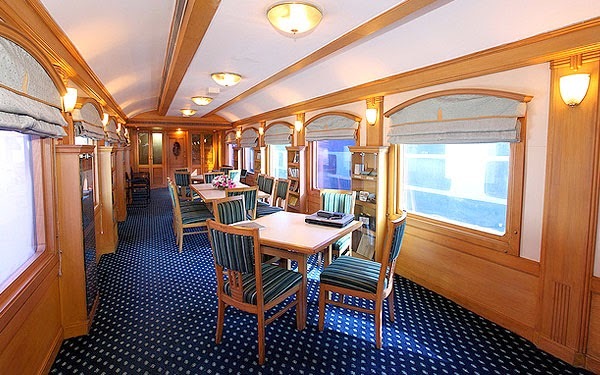 This place is the best spot on Deccan Odyssey to pen a write and it entertains the guests who feel bored with different books, TV etc on board. However, creation of Sitting lounge is a beautiful thought made by Deccan Odyssey. Deccan Odyssey came up with an idea of creating the business environment for the corporate voyagers. For the people who needed a business environment, Deccan Odyssey provides Conference Car. This Conference Car is well-equipped with high tech amenities. The Deccan Odyssey management provides all needs during the meetings as per the traveler required. The Conference Car is highly-equipped with audio-visual equipment and high tech needs for the meetings. Deccan Odyssey is the correct voyage for the best business trips on tracks. Making deals on the best luxurious voyage will give the best results to the business head. So, for travel business trips Deccan Odyssey is a desired selection which provides all requirements. As we know Deccan Odyssey is a tourism train and tourists also get tired by visiting different places. For them, Deccan Odyssey introduced a health spa. The health spa on board retreats with relaxing spa and massage therapies. The spa on board follows the treasure of Indian ancient science Ayurveda. It is the best facility provided by the Deccan Odyssey for the relaxing side of guests. The spa on board will give a refreshing day to the guests to visit some more tourist places. The Deccan Odyssey welcomes with an arrival kit which includes brochures, stationery items and warm welcoming with a glass of wine. kids and elders will be entertained with indoor games like carom board, playing cards, crossword puzzles etc and super fast Wi-Fi facility are also available for laptops and mobiles etc. For the differently able persons, wheelchair assistance is also available. The Khidmatgar or attendant of Deccan Odyssey can serve all the needs of guests. The Khidmatgar will be available 24 hours to the guests. The day on the board will start up with morning tea along with a newspaper or magazine. The belongings of the guests are secured with all security measurements. Medical assistance also available on board. Even doctor can be arranged at any destination with a single call. The special features on board are the LED TV, DVD players, sitting lounge with sofas etc. The train offers souvenir shops selling like artifacts, handicrafts, curios, and ethnic dresses etc. The attached bathrooms are well-maintained with equipped showers and necessary toiletries. Finally, smoking is strictly prohibited in Deccan Odyssey as the per the rules of India judiciary. These are all the total facilities provided by India’s luxurious train Deccan Odyssey. The general information that has to be known before wanted to take a trip on Deccan Odyssey. For the convenience of tourists, the departure of the Deccan Odyssey will be from Mumbai or Delhi as per the selection of itinerary. So foreigners or locals have to choose the connecting flights to these cities. The management of Deccan Odyssey also offers airplane tickets from all the major cities around the world. A porter will always available to tourists to carry the luggage at embarkation and disembarkation without any charge. A butler also available with 24 hours service at each guest car for all the needs of travelers on the board. English speaking guides are available during off-train excursions and other language speaking guides also arranged but should be mentioned at the time of booking. Some important things to be remembered during off-train excursions. As we know many tourists destinations are religious. For this reason try to wear clothes that covers shoulders and skin as possible for both men and women to respect the local sentiments. Air-conditioned transportation will be allocated for off-train excursions with no charge. This is the complete overview of the Deccan Odyssey Train. These are all the facilities that are offered by the Deccan Odyssey which made it popular. So when you want to explore the tourism of India just choose the Deccan Odyssey for a luxurious and royal treat. 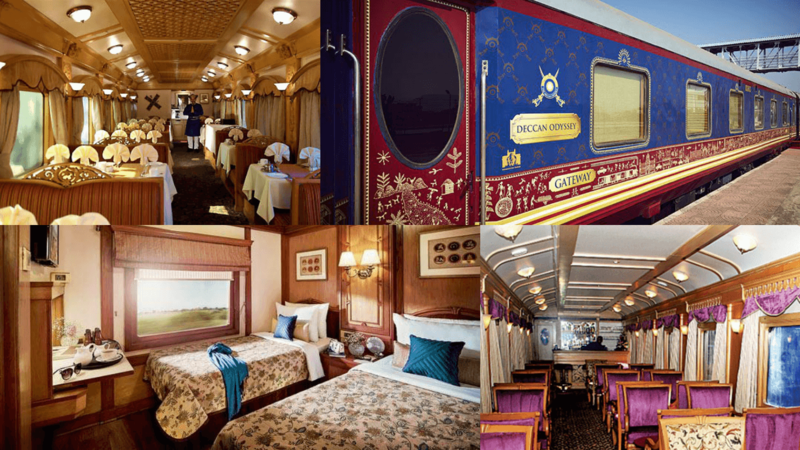 India’s Very Own Blue Train – The Deccan Odyssey. Deccan Odyssey: The Luxury Train in India to Travel. Deccan Odyssey Train Time Table. Packing Tips for your Deccan Odyssey Trip. 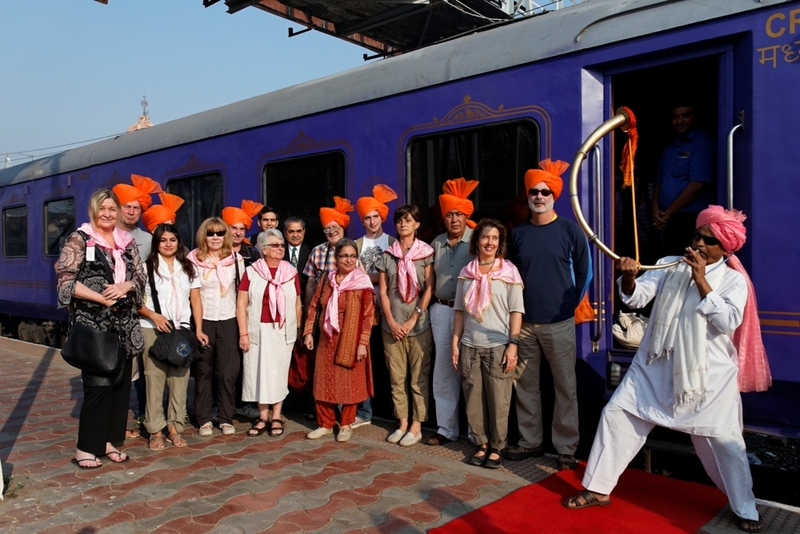 Itinerary Introduction of Deccan Odyssey Train. Detailed Information about Deccan Odyssey Train Fares.